I received a beautiful poem written by a dissociative survivor, thanking those who have been kind, supportive, comforting, and helpful. They have generously recognized both mental health professionals and the supportive community of dissociative survivors. Part of the beauty of this poem is that while saying Thank You, this trauma survivor has been able to describe the difficulties and struggles of the healing process, even for those who are truly dedicated to their healing. In describing the bumps in the journey, they are gently teaching the helpers about the truth on the other side of the road. I like that this poem covers the healing journey from a variety of different perspectives. It’s so heartfelt that I decided that it is an important one to share with you too. There is very little credit on the part of therapist or other professionals to those of us who are truly dedicated to heal. We often hear about how difficult it is for the helpers, the professionals, all who lend a hand. Some of us truly know how taxing we can be. To the dedication of those professional whom have stayed with us, we can never thank enough. I want to say that none of you can EVER know how hard, painful, and difficult journey it takes for the people experiencing the difficulties of DID. Unless you have experienced it yourself, you can never know. Talk about extra after hours… we live with it day and night with no vacation. We don’t get paid a penny for any work we do to get better. We live with painful feelings, thoughts, and memories that many people tell us can never be true. We wonder if these things are real… and question the validity of our minds. We spend time in the ER, some of us go to psychiatric hospitals for help. We have even been sexually assaulted at one such place. There isn’t any way to explain an experience at a psychiatric hospital. Even when it helped….. don’t assume unless you have experienced it yourself. We pay a multitude of money to more than one professional to assist us. This is not an easy task when so few are even willing to take the journey with us. That is a story all in of itself. Endlessly it seems with just a little bit of hope and an undying yearning for a tiny little bit of relief from our pain. We are willing to travel to the ends of the earth and countless amounts of time, money, not to mention the pain, rejection, and other experiences that are not pleasant that we endured just to get it! Getting relief has often lead to different negative experiences! At times, we make horrible mistakes and choose the wrong person to be our guide. These people take advantage of us. They have lead us to believe false things. Some even have left us with more trauma to deal with. The times we do see progress and experience just a small crystal of sweet sugar that is helpful… we hang on. With every ounce of strength, courage, we go onward. Holding onto the very thought that there might be more out there… just a little… so we continue. We remain dedicated. A hopeless romantic with endless ideas that somehow, someway, something, and someone will surely help us out of the hell we have been in. Each step is heart wrenching. It’s a nightmare you will never experience… and be glad you haven’t. It’s something you could never know. Then there are a tiny few that have made HUGE differences! We hang on to their kindness, generosity, and their gemstones of feedback ideas and support! We will never be able to repay you for the gifts you have bestowed. We hope you know that it has not gone unnoticed. There aren’t enough words to tell you how much we appreciate all that you do. One day.. maybe.. you can see the hard work we have done as well. Until then, to all who are going through the journey to healing: a huge thank you! Keep up the great work! You guys are our inspiration! You give us hope and something to aim for. Thank you for all that you have done, and to all that you continue to do! We can never fully comprehend what it is like for the dedication of the therapist or professional helping us. In turn, they will never know what it is like for those of us truly dedicated to our own healing and happiness……. Maybe you’ve found people in your life who have provided this kind of support for you. Maybe you are someone who has been in that supportive, helpful role to someone else. The point is….. the healing process is valuable and deeply meaningful. It’s really not an option, so if you think your moments of kindness are forgotten….. rest assured, they are not! ZD — thank you kindly for sharing your writing, and for being so open, honest, and genuine about your dedication to healing. Your words and heartfelt emotion are deeply appreciated. Well spoken poem. I could not heal as well as I have without others survivors. Hugh thanks to all of you as well as all professional. I have seen many changes for the better as WE ,the survivors, persist each day to find healing. The word CAN’T is not in our vocabulary. We will and can are the words we have always used. WE learn, heal and grow when everyone teams together. I can relate to a whole lot of this poem. Especially to whre I wish i could take a vacation from this, or days off like a therapist gets, it would be so nice. And I relate to being so grateful for a good therapist. they are rare. I believe that finding the right T is crucial to healing. I spent eight years in therapy, group work, workshops, etc. and did not find the key to understanding who I was until I met my current T. It took a new trauma to take me back to therapy but I am so thankful that I did. 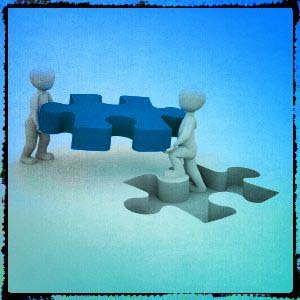 Just keep looking and trying to connect with the right T for you AND your insiders if you have not already found someone. I treasure my T. I thank her and tell her each and every week that I appreciate her (even those weeks that are hard or maybe not every insider is so happy with her). Below something that I just wrote to her on the anniversary of my beginning therapy with her a number of years ago. You have been the firm grounding that has brought this lost seed of a self respite from the winds of despair that kept me adrift and alone for so long. I have rested upon the fertile ground of hope that you have offered to me so graciously. And, in the nurturing presence of your wisdom and kind heart, my roots have burrowed deep into the depths of understanding to find sustenance in the treasures of my true self. With your guidance, insight and timely humour, I have grown strong enough to venture out of the darkness of life lost and into the light of renewed presence. I am growing each day and I know that one day I will reach the endless wonders of life that you are guiding me to. How grateful, honoured and blessed I am to have you in my life. ZD’s thoughts are so spot on. I am glad they wrote this and shared it. ME+WE, I am so glad you are here and venturing out into “the light of renewed presence.” It sounds like you have found a wonderful T. It took a new trauma to bring me back to therapy also. I hope my T understands I appreciate how difficult her role in this healing process is. I tell her all the time, “Thank you for being here.” I am thankful for that she comes alongside and is simply present…not just sitting in the room, in the same space…but truly present. That’s amazing. Being willing to listen to “the horrible things” is no small matter. They are not easy for anyone to hear. Not me. Not her. But there she is, listening, helping me to be present and engaged by modeling it for me…because she is so very present and engaged. She offers a non-judgemental space where all the pieces parts of this very fragmented me can come and simply be and breathe and that is enormous. Right now her office is the safest place that I know. I also appreciate that she has a plan of sorts. I look back sometimes and say, “Ah HAH! So THAT is why she wanted me to understand “this” before we went “there.” It is as if she were saying, “I know this is going to be a very harsh and difficult process. Here are some things you need to know so that you can make this journey safely. Here are some skills that will help.” And she helps me learn those skills, or at least begin to learn them. I appreciate that thoughtfulness. It makes me feel safe. I’m glad she also has a sense of humor. It helps when we can share some laughter because it is so blessed normal…it’s like a breath of fresh air. Finding bits of normal when there are voices screaming in your head is like a cold drink of water on a hot day. Awesome post in every way Wren. It sounds like you have found a wonderful T and have built a solid, trusting, healing relationship. My T and her space is my safe place as well so I really heard that. You have so wonderfully spoken to the fact that our Ts are people who have these incredible skills to guide us on our journey but, in the end they are just folks like us. They have a LOT to deal with working with us and you have so eloquently spoken to our need to be mindful, respectful and, appreciative of that fact. And, your closing statement, brilliantly spot on and inspiring. To our friends here who have not found such a caring T in their lives (for whatever reason), our sincere empathy, concern and encouragement to keep looking for a T if you can. And, keep coming here. We cannot replace a good T but we can sure see you, hear you and give you all of the support that we can. It is a heartfelt appreciation. Cathy, how do I make a post on the blog? I send an email from here with my question on there. Thanks for writing — and yes, to make a post, you do exactly like this — exactly what you did to write that. And then wait a bit… because I moderate each comment before they appear on the blog for everyone to see, but I try to check in most days, and often a few times a day for comments. Welcome, welcome, and we all look forward to your participation in the conversations here. I’m glad to hear you are already finding this site to be helpful! 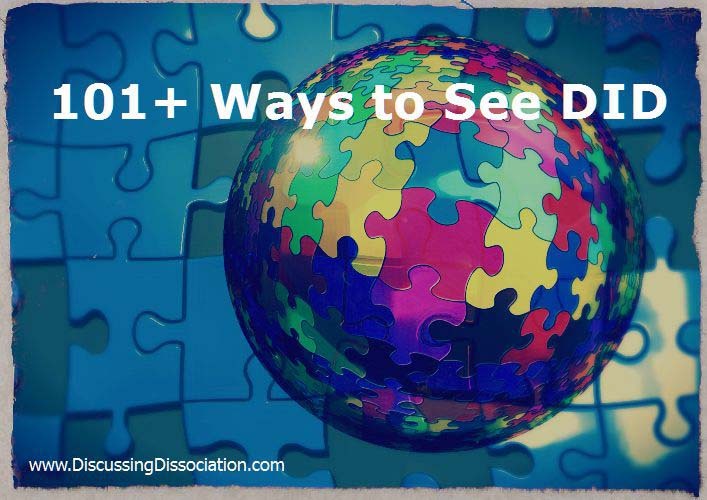 There are many, many articles here, and thousands of comments by people who express the words describing dissociative experiences even better than I can say. I hope you keep reading! And your comments are welcome too, of course. I have been very fortunate to have had a great support system. My first therapist would stick with me for 23 years. she supported me though many changes in my life. she saw my outside children grow into adults, when it was time for her to retire she worked at finding a replacement. that brings me to my current treatment. Once again I am in good hands. Even though I have only been with this therapist for 3 years. She and her associates work extremely hard to make sure all of my inside family get the help that is needed. Our first year together she had to dive right in. My mother died a few months before we meet. So now its my job to take care of my father once again. (no not sexual) have to take care of him because he 76. so that brings many triggers. The second year. The death of my husband that I was married to for 32 years. that brings us to current I lost a close friend last October and my father in law a few weeks ago. Through out all of this she made sure that all my primary part are dealing with the emotions that come with it. She and her associates meets once a month with a specialist to learn more about how to help D.I.D. My best friend she is so amazing with all this . I have know he for 35 years. She interacts with my primary parts. She has permission to talk with my therapist. Now that my husband is gone she is my point of contact for my mental heath needs. So needless to say I am incredibly blessed when it come to my supports. 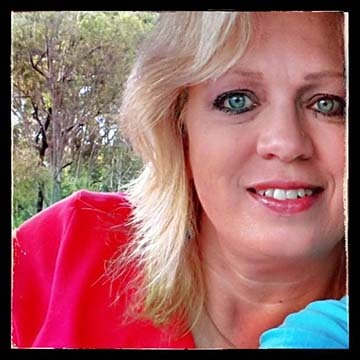 Kathy thank you so much for having the blog. It is nice to read about other. It helps me not to feel like a freak. I cannot tell you how much my heart goes out to you. It is a testimony to your strength, resilience, hard work and self-love (and love of others) that you have managed all of the hardships, transitions and difficult work on your self that you have accomplished. You have (and have had) great support in your therapists, husband, family and friends. But, at the end of the day, you are the one who welcomed their help and support and used it in all of the powerful ways that you did to live, grow, heal and continually move forward. Kudos to you! I am giving thanks to you Lori for sharing your incredible story with us and for showing us how to be dedicated to and supportive of our own healing process. PS – A big shout out and hug (if she wants it) to Baby for sharing here as well. Just really good sense and commitment to living Unified. And, I sure hear how much you miss Joseph. Must have been a super special guy. how do you know that Baby is part of Lori ? how do you know Joseph name? Do you Know us? your Name We+Me reminds me of someone we meet at a hospital stay . I just pieced things together from the various postings. My apologizes if I got it wrong or upset anyone. I just put two and two together. We have never met in person. I am really happy to be getting to know you here though. Yes I do like to figure things out. My mind just loves sorting through stuff and finding the links, pieces, parts and understanding. I was always a very inquisitive child and now adult. Thinking is a hobby of sorts. Now I have a big puzzle to sort out with my internal system. Sometimes it is frustrating but it can be fun too when you find what fits where. And certainly safety is a big issue. I hope things are going okay for yous. I enjoy talking with you here. Always happy to talk with you Jessie! This is a very special, safe place to come to and talk with folks. That is very liberating and healing for me. i saw something on tv today that really confused me. and I dont even know if its a real thing. I saw this lady on tv that was having a hard time with some memories coming up. bad memories. she had someone right away in her house offer to be there for her if she wanted to talk. and then she also picked up the phone and actually CALLED someone, and said she needed to talk, and the person actually LISTENED. and so they talked for a little bit. and the girl felt better. amd she went on with her day. she didnt have to keep it a secret. is that how people actually get better? and NOT turn out like me? i have to hold everything in year after year. i didnt have anyone to talk to then. i dont now either. if i need to talk… i shove it back down inside. does stuff like on that tv show happen for real? i am not trying to sound like i am feeling sorry for myself. i just really want to know. are there people out there who have the option to talk when they need to, and it actually makes them feel better? and i wonder what it would be like. to not feel like this all the time. to someone that takes time out of her busy day to love the true us ……. it’s going to someone who sits in her room a lot to escape the chaos of her home……. to someone that from time to time needs a place to drift and stay afloat……. so she can fine calm ……. enjoying the sound of the waves smelling the salt in the air……. This dear friend will now have a small place to dissociate to……. even though she’ll always be a singleton. I created a wall hanging for her. Of a marsh the jetty the ocean and the sunset. Coming here today to express our heartfelt appreciation. First, To Kathy Broady who has been such a huge support to many. To all of Kathy’s staff who help keep things running smoothly. Especially to all who come here interacting, willing to learn, brave enough to reach out, or even lurk in the shadows… Thank you again. Ya, my T. I think she is dead now. But she done some real good work even tho there was tons of resistance cuz some didn’t like her too much. But others did.she stuck by even tho she must a been crazy frustrated. I sure was. But she managed to help with basic infrastructure in a very useful way. So now life is more lonely cuz its quiet mostly always now. But its a whole LOT easier and clearer now. I am sad cuz I pretty sure she died. No info. But I am glad too, cuz I did send her a couple of update emails over the years after she retired to say thanks. But ya, it was real challenging therapy all round. I think she was good, just somes couldn’t see it cuz maybe they was too scared and just trying to protect I guess.